Josephine County Oregon Oath Keepers Are Calling For Volunteers. This support call out is for Oath Keeper members only. Please do not forward it to non members. Joseph Rice of the Josephine County Oath Keepers chapter was asked by miners to provide security as they faced threats from the BLM. Oathkeepers Staging Area: 545 California Ave, Grants Pass, Oregon, 97526 (as of April 17, 2015). Check OathKeepers.org website for latest information. Oathkeepers communications point person asks all militia and media to check in at the staging area before moving on to the campground. Oathkeepers and others are mobilizing security teams (via miner contracts) to maintain a high profile presence at the Sugar Pine Mine outside Grants Pass off Interstate 5 in southwest Oregon beginning immediately. WARNING: This is a very dangerous assignment for anyone involved, including any and all federal BLM agents and others alike. The last stand-off at the Bundy Ranch one year ago nearly evolved into a WACO/RUBY RIDGE situation. The ONLY reason it did not….is because there were media and personal recordings of the entire stand-off that forced BLM SWAT teams to retreat (after threatening to shoot anyone that advanced on them). The Bundy Ranch family, security contractors, including other patriots/cowboys on horse back, advanced against the dire warning. All they wanted was for BLM to return the 163 head of cattle they had absconded days earlier. BLM had killed several cattle and dug makeshift graves to bury cattle…. Our country is up against a wall recently with several events happening around the country, including the latest revelation that Chicago Police Department has settled lawsuits involving “extreme torture” for the last two decades, to military operations in Ft. Lauderdale, and this past week in California on the streets of America. This is WHY, you, me and everyone else must counter their bogus claims and watch your six. It’s about to get real interesting nationwide. This is history in the making and we are all part of that history. When your grandchildren ask one day, what did grandpa or grandma do to stop the Civil War, hopefully, the answer will be heroic. Exposing the tyrants and usurpers is everyone’s responsibility and can effectively stop the next Civil War that is brewing. WHEN they shutdown all media except their own propaganda, be prepared…. 1. BLM recently (3/18/15) issued two Stop Orders on a mine, citing authority under their 3809 regulations, despite the fact that this is one of the oldest active claims in the country. 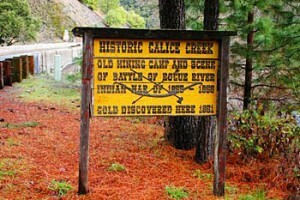 The location date of this mine is so old that one of the location notices (the legal title to the mine) was actually first recorded in the original Galice Mining District Recorder’s book in 1876 and then later transcribed into the Josephine County Clerk’s records once the county assumed recording duties. Under the 1955 Surface Resources Act, claims of this age have exclusive surface rights unless the Department of Interior utilized a mechanism outlined in that Act to severe those surface rights. Demands to BLM to produce evidence of their surface authority in accordance to the 1955 Act have thus far garnered only “because we say so” answers and numerous stonewalling tactics. The Stop Orders came after several months of back and forth maneuvering from both sides, and are clearly retaliatory in nature. 2. BLM are in active violation, on multiple counts, of federal Freedom of Information Act statutes. (By contrast, certain mine records in the possession of the State of Oregon have been provided in a prompt and professional fashion when requested). 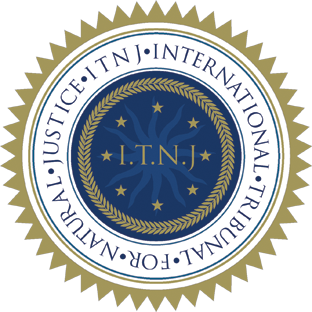 Similar documents secured by another miner have appeared to have been “heavily parsed” of key file documents, raising suspicion that BLM is either actively suppressing the release of documents that could be very damning or has been actively destroying documents which they are obligated under Federal Law to maintain and provide on request. One of the BLM employees suspected of parsing the records in question has apparently left BLM in the last few days.